In recent months, the spotlight has shone rather harshly on the holes in South Africa’s education system. Illuminating the deficiencies in the system has been largely the work of a number of non-governmental organisations (NGOs), including the Legal Resources Centre (LRC) and Section 27. 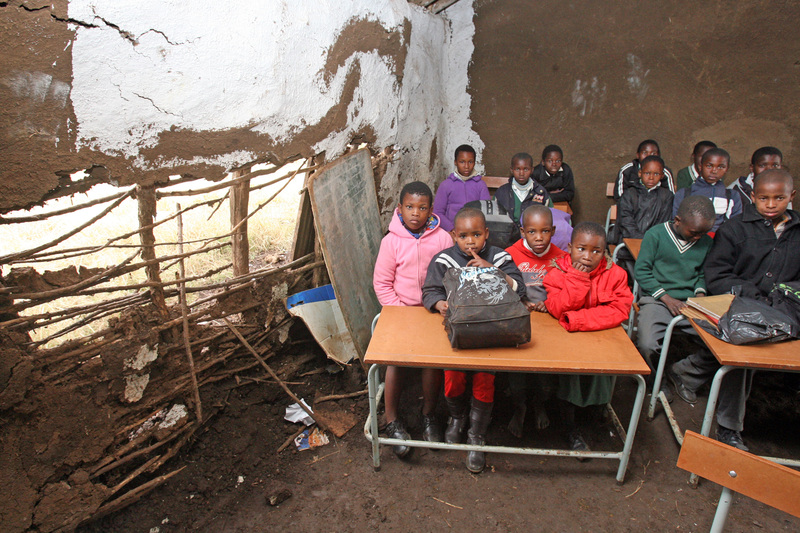 I recall that a few years back, Equal Education (EE) was campaigning on the streets of our cities, hoping that government would take heed of their call for better facilities at schools. Since then, it seems that results still aren’t close to being satisfactory. EE then took the next step: using litigation as a tool to compel government to do something. As everyone in this country knows, using the courts is an expensive exercise. It is not an action which is easily taken, but often used as a last resort. In an article published in the Daily Maverick, the author, Osiame Molefe, notes the litigation was only instituted in the EE case because the lobbying did not yield results, even after a few years. The LRC has also been engaged in litigation to address a number of issues which have been identified through their work. The body of the LRC’s litigious work which impacts on education has grown considerably of late. As one matter is dealt with, another one seems to rear its head. Reports about the education sector are often harrowing reads, and when issues like “love affairs” between teachers and learners are revealed, you begin to understand how bad things have become. The right to education, as found in our Constitution, is not a right which can be half-fulfilled or left until a later date. The right to education should be immediately realisable. There is a further compelling argument: the longer that the country takes to make that right a living reality for each and every child, the longer this country will be burdened with a cycle of poverty. Without a proper education, you are condemning the youth of South Africa to a lifetime of unfulfilled potential, unemployment and loss of self-respect. Education, even if not the answer to all of society’s problems, goes a long way to solving at least some of them. The fact that many of the miseries of our education system, which was already severely disfigured by the gross inequalities of Apartheid, are still endemic and prolific, means that it is not possible to stand by without taking action. NGO’s know what the issues are and can do something about it. While litigation is just one form of relief amongst many, and has its own deficiencies, when government does not listen to letters or lobbies, the strength of our legal system is available for harnessing. NGOs do not litigate as a matter of rote, but often exhaust other avenues in order to address issues which they identify. Unfortunately, litigation is often piecemeal, reactive and sometimes ineffective if court orders are not complied with. However, this does not mean that efforts by legal NGOs have been in vain. The strength of a good precedent is that it can inform policy, reform law and be the foundation upon which other schools can gain relief. However, the question still remains as to whether litigation is the best way forward. In a recent education workshop, the idea of a silver-bullet for solving education deficiencies was discussed. This is in response to Osiame Molefe who suggests that “nothing short of a comprehensive response that deals with all the facets of the problem will right this situation”. The straightforward answer, to the question of whether one exists, is that there is no silver bullet. The education system is constituted by a number of physical, cultural, human resource and infrastructural facets and it seems to be an impossible task to find a solution upon which everyone agrees. Where does one expend energy when there are issues with all of the facets? Even as legal experts with experience in education matters, participants found it difficult to suggest what this silver bullet would look like. The solution then is to forge forward as a collective; comparing cases, finding the holes and continuing litigation. We all recognise that if a solution could be found, or a better way employed, we would jump at the chance to change how we confront these issues. Right now, litigation has achieved some valuable outcomes and the negative publicity surrounding the cases has resulted in government action. Although what has transpired is not yet enough to breathe a sigh a relief, and perhaps we never will, the fact that our president is now responding to our recent textbooks cases shows us that litigation is still a legitimate response to a particular issue. Disclaimer: The opinions expressed by the Realising Rights bloggers, and those providing comments, are theirs alone and do not reflect the opinions of the Legal Resources Centre. The Legal Resources Centre is not responsible for the accuracy of any of the information supplied by the bloggers.